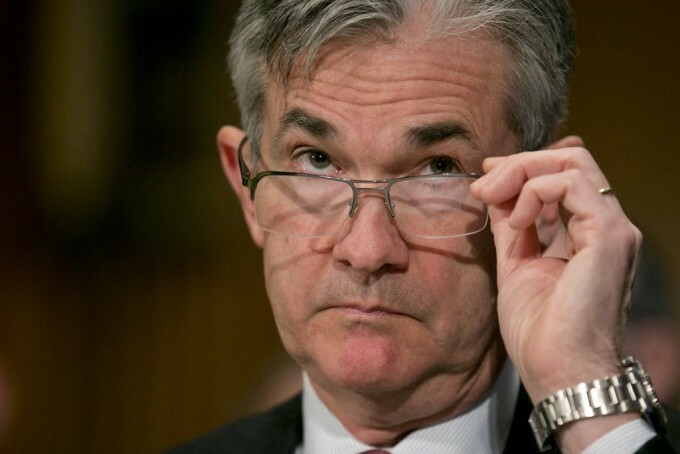 Jerome Powell has been notified that President Trump will nominate him to head the Federal Reserve after Janet Yellen's term expires as Fed chair on February 3, 2018. This is probably the number one choice of Goldman Sachs. It's all about insiders when it comes to the Federal Reserve. A White House statement says President Obama will nominate two former U.S. Treasury Department officials for the Federal Reserve Board. Obama's picks are Jerome Powell, an attorney who was a Treasury undersecretary for former President George H.W. Bush, and Jeremy Stein, a Harvard University economist who has advised the current administration. David Rubinstein is popping champagne. Powell from 1997 through 2005, was a partner at The Carlyle Group, where he founded and led the Industrial Group within the U.S. Buyout Fund. In addition to Carlyle, in the years since leaving the Treasury Powell worked at Bankers Trust Co.; the Global Environment Fund, a private-equity firm; and his own investment company. In other words a complete Wall Street-DC Corridor insider. Wall Street will be happy with him. He will be a money printer in the Janet Yellen tradition. Let the printing presses roll! If you like your dollars being depreciated, you get to keep them being depreciated. We will print so many worthless dollars that the swamp won't drain but it will fill in, to the point that it will be overflowing, like a sewer more than a swamp.